There is no greater fear than the fear of change and no greater joy than overcoming it. 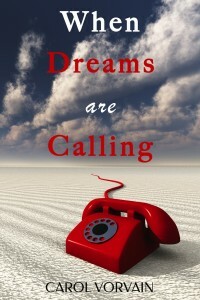 Inspired by a true story, When Dreams are Calling is a transformational journey through five continents, seven countries that will redefine your idea of courage while making you laugh all the way. The main character, Dora, is a witty young woman who chases her dreams across continents, from Europe to America, then to Asia, and finally, to the far away shores of Australia. We see the changes she goes through, the price she pays for following her dreams, but also the rewards she gets on the way. Her life is a roller coaster and her plan is nothing more than the confidence that everything will work out for the best. “Words have power, dreams have power, we have power” Click to Tweet is the motif which echoes all through this enthralling novel that bursts with optimism.